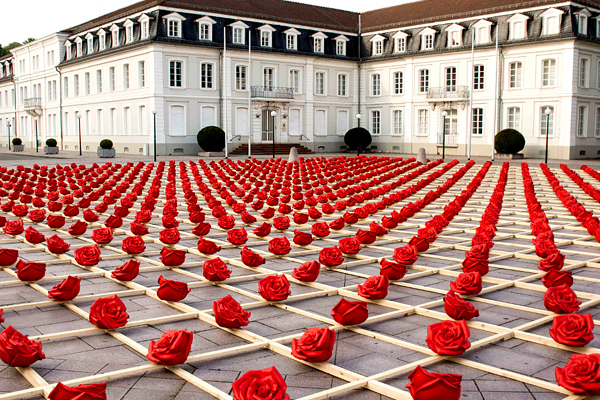 Zweibrücken in Germany is known as the City of Roses since located there The Rose Garden of Princess Hildegard of Bavaria grows more than 60,000 roses of 2,000 varieties. 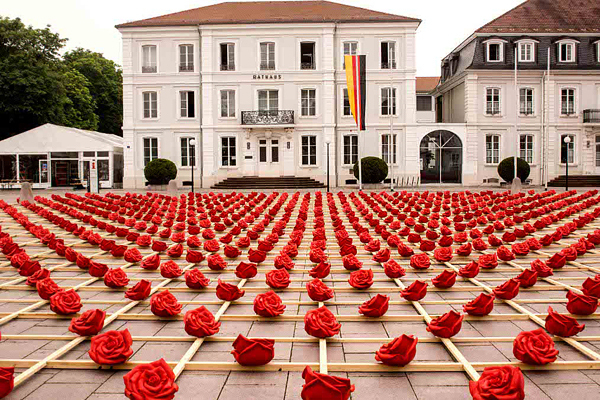 Inspired by this fact German artist Ottmar Hörl created a massive public art installation entitled “1,000 Roses for Zweibrücken”. 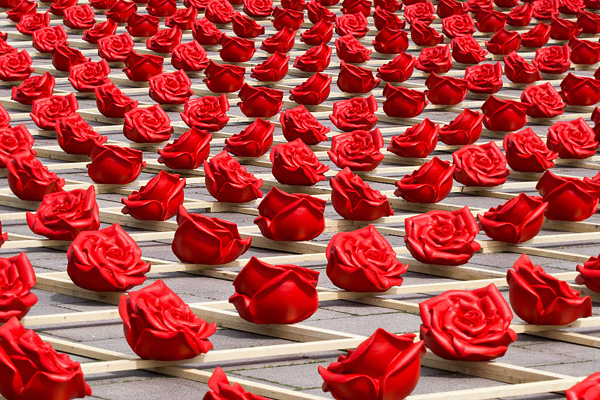 For one month, 1,000 plastic red roses have been arranged in a visually striking grid-like pattern on the ground. 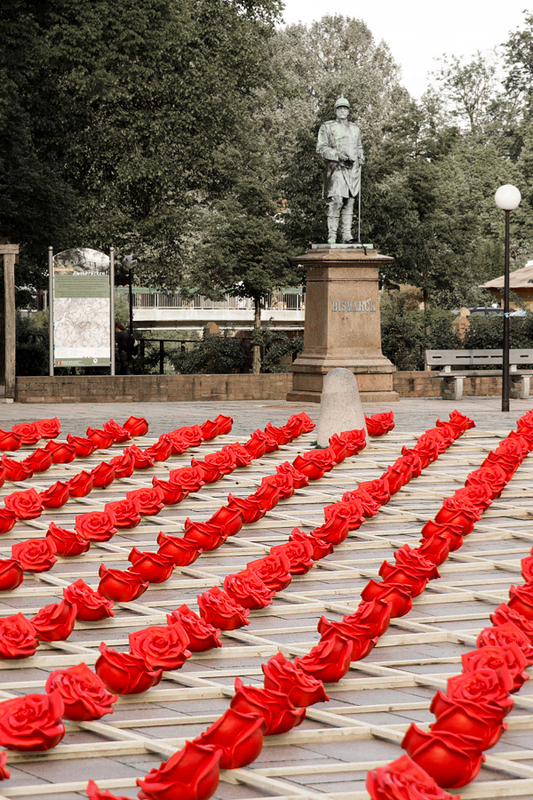 The artist says, “Above and beyond its symbolic power, the rose thus becomes a ‘social sculpture’ in the sense of a stimulant for communication.” The flowers averaged about 12 inches wide and were offered for sale as a memento of the memorable installation.